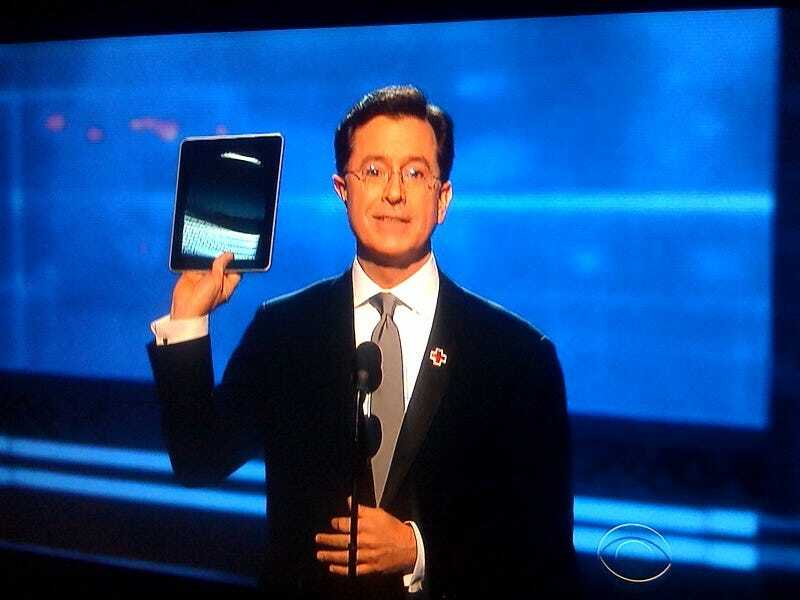 Comedian Stephen Colbert is presenting at the Grammys, and to mark the occasion of "Song of the Year" (Single Ladies (Put a Ring On It)), he pulled out his shiny new iPad. Notable because it's one of the first out in the open (is he "the first?"). Also notable: No iPads in those obscene celebrity gift baskets people get for attending these things (Jay-Z didn't even get one, Colbert mocked). And yes, this looked to be the real deal, as you could see the screen changing from portrait to landscape as the moved the iPad around.